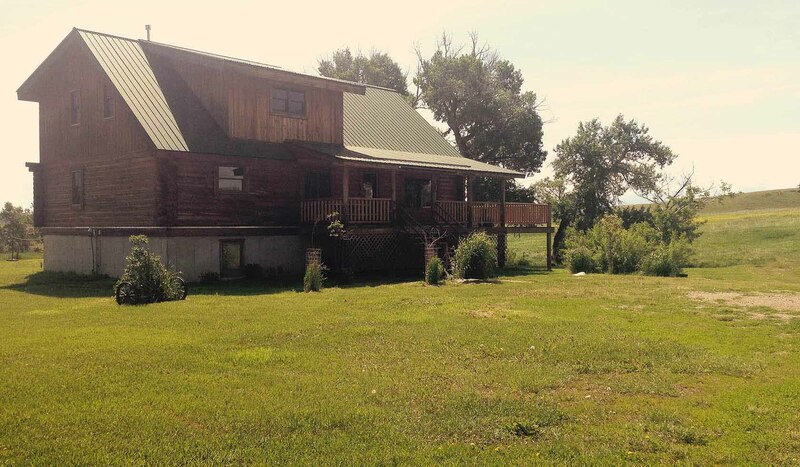 White Deer Ranch has an 11 acre private trout fishing lake and custom log house vacation home. Sleeps 12-16. It has 7 queen size beds. Four bedrooms, 3 full bathrooms, one with Jacuzzi.. Spacious kitchen with island, oven/range, refrigerator, dishwasher, microwave, and washer & dryer. Fishing privileges included for 4 cabin renters. Excellent views, lots of peace and quiet. 450 acres to walk, view wildlife or just lay on a blanket and stare at the Big Sky. Many area activities that the whole family will love. . Owner / Manager on the premises to assist you or provide local knowledge if needed. See our webpage for further details: www.whitedeerranch.com No Pets Horses allowed with prior approval.